Morozov, E. (2014). 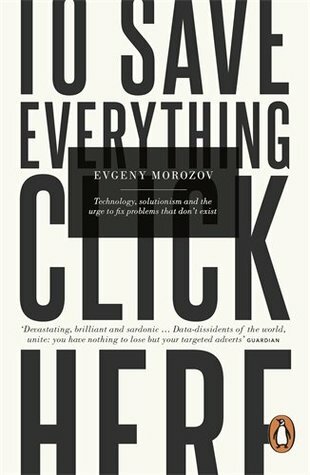 To Save Everything, Click Here: Technology, Solutionism, and the Urge to Fix Problems that Don't Exist. Penguin Books Ltd.
Penguin Books Ltd, 2014. 432 pages. shouldn’t we do something about marketing itself?